NEBOSH are a “not-for-profit” charity with the aim of providing a benchmark to measure knowledge and ability of health and safety professionals globally. 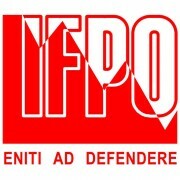 They are renowned globally as the standard for health and safety experts. Their qualifications are designed, in conjunction with leading authorities and organisations, to meet the high demands of each industry sector. The high standards set out in each qualification are measured by examinations and assessments, these are conducted in stringent conditions ensuring every candidate globally receives an equal opportunity to attain the standard. The stringent quality and robust controls set by NEBOSH, maintain the integrity of the trademark, which provides reassurance to governments, employers and individuals around the globe the confidence of knowing successful NEBOSH candidates are academically competent. Let us be honest; if something comes easy, it is probably not worth having. 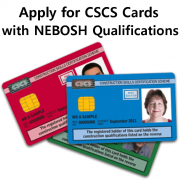 Thousands of candidates undertake and PASS NEBOSH examinations and assessments each year. There are also a number of candidates who do not pass their examinations. There are few greater feelings than the euphoria of successfully achieving something you have worked hard for, the sense of accomplishment is awesome, similarly though, failing at something you have worked hard for can be equally devastating. These are the same emotions candidates feel when completing their NEBOSH examinations and assessments. While success is great and allows you to progress in your career and ambitions, failing in an examination can feel like the end of the world (especially when you thought you did quite well). During these negative times, it is common to look for someone/something to blame, which is not the optimum way to move forward and gain your qualification. In the event that you have not passed your examination or assessment, there is hope. Enquiry About Results (EAR): Where a student has not performed as well as they thought that they would, NEBOSH supports the right of candidates to enquire about a result and to appeal against the outcome of that enquiry. There is a fee payable for this enquiry. Please speak with your course provider for further details. Re-sit: You can book to re-take your examination (re-sit fees will apply). Students who have submitted an EAR but are also considering retaking the unit are advised to register for the next available examination date following the expected EAR outcome date. Factors that can affect examination performance (negative and positive). We find the most common cause of failure are those candidates who think they don’t need to study. They may have many years’ experience, or qualifications or both. However, you are preparing for arguably the most respected health and safety qualification in the world with very specific examinations, looking for very specific responses, if you are not going to study please do not waste your money on sitting the examinations. 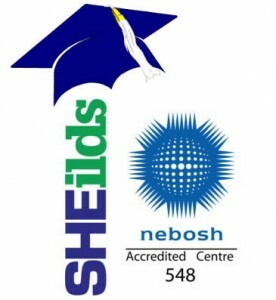 NEBOSH have published resources available on their website to assist students prepare for their examinations. Stress, anxiousness and nerves play havoc with candidates on examination day. Speak with your tutor about expectations on the day and ensure you read and understand all the details of the day and get your exam stuff ready well in advance. Also ensure you plan your travel/accommodation/route to the venue well in advance to grant yourself plenty of time and as little stress as possible on the day. You can lose valuable points if you do not answer the question asked in the correct manner, ensure you have been provided with guidance for “Command Words” by your course provider and put some effort into understanding them, this is a very common failure of students. The guide is also available on the NEBOSH website. Your course syllabus is based on “Learning Outcomes”. Your examination will only ask you questions based upon your understanding of these, focus your study. Making revision notes as you study will help you absorb the information and give you revision material for later on, however if you don’t put the effort into making comprehensive notes they will be useless or detrimental. To ensure standards are sustained and marking remains impartial, examinations and practical assignments are randomly marked by external examiners; not employees of NEBOSH or your course tutors. These examiners are health and safety professionals whom have extensive knowledge and experience in the field they are marking. They regularly attend training on how to examine and go to standardisation meetings so they understand the marking schemes. 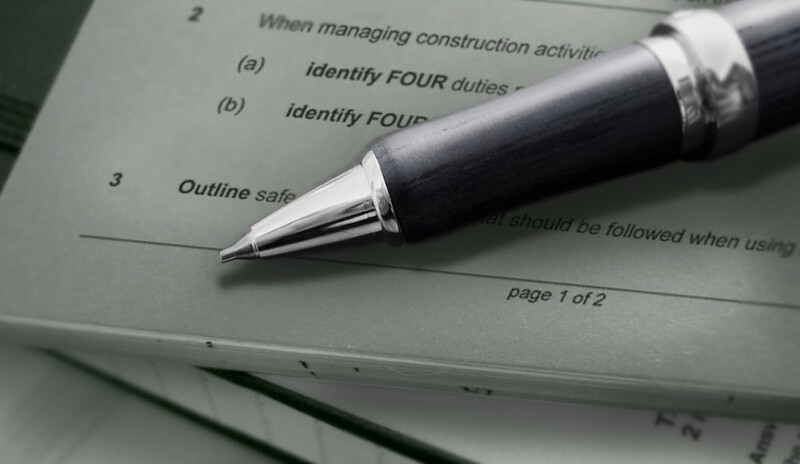 New examiners have their marking is checked by the NEBOSH Standards Department, and this can include checking by Principal Examiners and Examiner Team Leaders. More experienced examiners get their marking checked randomly at least once a year. When a student requests a remark, this automatically means an examiner’s marking is checked. NEBOSH marking schemes are fairly strict and the examiners well trained, so the system is as robust as it can be. For all exams, depending on the qualification, there is a marking tolerance of between 3 to 5 marks depending on the qualification. As long as the examiner is within that margin of error then their marking is deemed acceptable. Examiners are given feedback and retraining if issues are identified with their marking. Examiners mark papers based on strict marking schemes. Students write their own exam answers, submit their own work in practical assignments, and everyone’s work is marked to the same standard. If you are confused by your mark, then speak to your course provider. We’ll do our best to advise you. I have scored 40 in IGC1 and IGC2 both exams. I have attempted all the ques and answers were point specific. Should I go for reevaluation? For written exams there is a 3 mark tolerance difference in marking so those scoring 42-44 it is recommend to go for a remark but not for those scoring 41 or less. The odds of the markers missing so many marks is very low. So for anyone with 42 marks or over we would say go ahead. The final decision is still the students and if you wish to pay the remark fee then it is up to you. You will not receive feedback on your score so if you are going for a remark solely for feedback then this would be a waste of time and money as it is no longer provided. I have got 44% in igc 1, will I go for remark? NEBOSH state that there is a 3 mark tolerance between markers for the written exams so if you score 42 marks or higher in your exam result then NEBOSH do recommend going for an EAR (Enquiry About Results). There is no guarantee that your mark will change, most do not, but if the marks do change then this is by 1-3 marks (either up or down). so to avoid all these what is the required pass mark for the exams? is it 45%? The pass mark for the written exams are 45% however NEBOSH do state that there is a 3 mark tolerance for the exams when marking. This means that anyone scoring 42 or above it could be worth going ahead with Enquiry About Results (EAR). The final decision is still up to the student but they need to consider the fees involved for an EAR which are now £75 for a full remark and the 40 working day (8 week) reply time for the result. I have 44 in IGC1. I Am going for rechecking. At the same time may I apply for rechecking as well as reappearing? thanks. If you have used alternative personal details to make this comment on the SHEilds website and you are a SHEilds student – All you have to do is contact your tutor or our NEBOSH examinations department and we’ll assist with any arrangements. 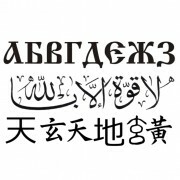 Thank you for your reply to our blog. It is best to register for the next set of exams whilst waiting for your remark result to come through. This ensures that if your remark is not successful, that you are registered for the next set of exams so do not have to wait too long before re-sitting. If your remark is successful however, NEBOSH will refund the remark fee along with the exam fee paid for that unit for the next exams. If you are scoring under 42 then it is less likely that a remark with the EAR process would cause an increase in marks enough for a pass mark, so it is not generally recommended. However this does mean your marks ‘could’ increase. Thanks a lot. Lets see, in which direction my luck goes. In the above discussions “mark” and “percentage” seem to be used interchangeably. My results (from International Dip unit IA) showed my “mark” of 41 but when I look at the number of “points” per question in the exam the total number of points available is 120 (part A = 60 + part B 3 questions to be answered with 20 points each). So is the “mark” out of 120 points (i.e. 34%) or is it a percentage (41%)? It is true that mark and percentage get used interchangeably. Even NEBOSH use the term “mark” on their result confirmations, when actually it is a percentage. The Diploma is marked out of 120 marks, and the pass mark is 45%. That means you need to score 54 marks out of 120 to pass. Your percentage is 41%, meaning you got 49 individual “marks”. But as stated previously, NEBOSH will call the percentage your “mark”. Probably because it is easier for most people to understand a percentage score, and consistency with the Certificate examinations which are marked out of 100. I’m sorry to hear that you missed out by such a narrow margin. Please get in touch with me by email and we can work on improving your result next time. I have a query how do I know if someone past the nebosh is their any records on this. And where to verify. Hi Gary, the best advice is to contact NEBOSH directly either by telephone or visiting their website and using the ‘contact us’ information. This is not something we would confirm as we don’t share sensitive or personal data to the public. I got 58 marks in my gc3 practical report exam. Now I am going to resubmit the same report after improvement on it. Could you tell me where should I work on my report because I have made a perfect report as per my knowledge and perception. I hope your answer will help me to get good marks this time. 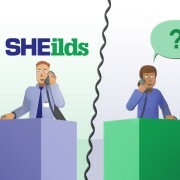 If you are a SHEilds student please email us your student number, full name and when you sat your exams – You can do this by visiting the contact support page here: http://www.sheilds.org/contact-us/#existing-students-login and complete the support form. With this information we will be able to locate your markers feedback and send this across to you. This information should assist you in improving for your resubmission. Please note though, that you will need to undertake a full new report in the next practical exam period. You cannot simply change the old version and resubmit. NEBOSH guidance states that the practical must be undertaken during the set practical period. 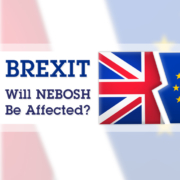 SHEilds have been informed by NEBOSH that anything undertaken outside of this period will automatically be voided, so please stick to the guidance. Feeling deflated and absolutely gutted after geting my results today. Yes I know I should be aiming higher so there was less margin of error, but just missed out on the unit A with a 44% mark. (I passed the B with 53%, and previously the C&D). I am going to take a chance for an EAR but looking at many of the responses here and other places I see a LOT of people down-marked rather than upwards. It’s so close that I am going to take the chance, however at this moment in time I’m far from optimistic. I’m sorry to hear you missed out so narrowly. Not all marks are downgraded when remarked, so there is always a chance you may receive a pass. You may have included a small detail in your Unit A exam that was overlooked by the examiner, which may push up your mark. Please comment if you want to share your EAR outcome. Best Wishes. I received the result of my EAR and it resulted in a 4 mark upgrade.. While i’m happy to have got the upgrade to have passed and now finished my Diploma, I am disapponted that I didn’t get my result in time to register & attend the graduation ceremony and will have to attend next year. With regard to NEBOSH marking, I appreciate errors are made, but if it were me marking and a candidate had missed passing by ONE mark, I would have triple checked my marking to make sure I hadn’t missed that mark. Also, a paper failing with such a close margin should automatically trigger a review. Given the importance and standing of the qualification, marking should be more consistent. A 4 mark miss is a lot in my opinion. I’m glad I have finally passed the Dip, and wish best of luck to all future students, and thanks to the team at SHEilds for helping me complete both the general & the Dip. Thank you for your post and congratulations on passing your diploma, this is a great achievement, well done! 4 marks does seem a lot but it is quite easy for there to be one point different in marking for a couple of questions which even though it is one mark here and there it does add up. The majority of remarks result in the mark not changing which shows that on the whole the examiners doing the marking are accurate with their marking against the NEBOSH requirements. There are however, occasions where NEBOSH examiners may differ in their marking and the student felt they should have achieved a higher mark. This is why the remark process exists. On this occasion your remark resulted in your marks increasing which is great news as it shows the process works. Once again congratulations on passing your qualification and we look forward to seeing you at your graduation next year. 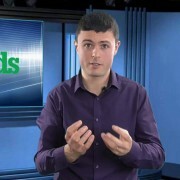 I am not Sheilds Student, But i always like to go for sheilds in Future. My Query is that I passed 1GC 1 With 52 Marks,IGC-2 With 38 Marks and IGC -3 with 54 Marks, What shall i do? Please Help and guide me. Can i apply for EAR for IGC 3 Practical Assessment because my report was fine. Thank you for contacting SHEilds. The first step after receiving your practical results should be to contact your course provider. Course providers are able to provide feedback on the students practical as they are marked by the course providers and not NEBOSH. Therefore if you want to know where you did not gain marks we would recommend contacting your course provider and asking for their feedback as the first step. You can then review this feedback to see if you agree with this or not and if you do not agree you can then consider the EAR. An EAR (remark) is recommended for those close to the pass mark. NEBOSH have a marking tolerance of 3 marks for the practical which means that anyone scoring 57-59 can apply for a remark. For those with less than 57 marks it is not recommended as it is unlikely that a score will increase by more than 3 marks due to the training the markers have gone though. The option as to whether to go for a remark is entirely up to the student themselves however as this is a service you pay NEBOSH for and you are outside of the tolerance range, it is not recommended. You do not receive feedback for your EAR and it is unlikely that NEBOSH will find an additional 6 marks to take you to a pass. We would recommend re-registering to re-sit the GC2 written examination and the GC3 practical; amending your weaker practical sections as per your course providers feedback. If IGC 3 is a match from other papers then what will happen. And if got blocked then for how much time we will be banned and also IGC1 and IGC2 will also block. Then my question is that for how many years it will be blocked for all exam papers. NEBOSH examinations are heavily regulated and monitored including the IGC 3 paper, should a paper be deemed to be plagiarised then NEBOSH will withhold results pending investigation. The result of the investigation will determine what further action (if any) is taken and can include a ban from taking further qualifications. The length of the ban depends on the findings of the investigation but can range from 12 months to lifetime. Sir if i start the new question on the same page where i end the last question….this thing will cancel my whole answer???? NEBOSH specify that each question should start on a new sheet of paper, this greatly helps with organising a students grades. There was a time where every question was sent to a different exam marker. This could have meant your questions are all marked by different people and if you had written your answer on the same sheet as another question, you may not have received a mark due to this error. However things have now changed, the whole exam paper containing all questions is now marked by a single nebosh exam marker. This means if you had accidentally forgotten to start a new sheet of paper for a question the marker would notice that you had in-fact answered the question and would mark it as per any other question. This is great news for students as it means NEBOSH exam markers will grade each answer provided and NEBOSH recognise that these simple oversights can occur. Therefore you would not normally be penalised nor your answer ignored as per the old method of grading. So the rule is there, you must start each answer on a new sheet of paper, but don’t stress over this having an impact on your final grade. I hope that helps settle some exam nerves. I got 43 marks in IGC 1 and now looking for rechecking. I got 54 & 64 in IGC 2 & 3. Need suggestion what would I do. What will be the possible result. Hello, Thank you for contacting SHEilds. Firstly let me congratulate you on passing your IGC paper 2 and your practical paper. For paper 1 you are required to gain a minimum of 45 marks to secure a passing grade. With a grade of 43 marks you are very close to the minimum passing mark, in this case, it may be worth applying for an EAR (enquiry about result). Please note that applying for an EAR is time sensitive and must be done very quickly after the results are released. I would advise that you speak with your course provider who will be to advise further and take you through the process. Firstly let me congratulate you on passing your IGC practical paper. In regards to papers 1 & 2, you are required to gain a minimum of 45 marks to secure a passing grade. Applying for an EAR in this situation is not a good idea as it is very unlikely that you will gain an additional 15 marks in each paper (NEBOSH markers are very well trained and their work is heavily monitored and regularly checked for consistency). The option you have is to resit your examination and take papers 1 & 2 again (providing you do this within 5 years of you joining/enrolling on to the course). Should you wish to resit your examinations with SHEilds we are happy to assist, please contact us via our contact page and advise when and where you wish to sit your exam and one of our course advisers will contact you and take you through the process.